Berlin (AFP) - A leader of Germany's far-right AfD party on Tuesday tried to link the devastating fire at Paris' Notre-Dame cathedral to rising "intolerance" against Christians in Europe, although French investigators believe the inferno was an accident. Paris public prosecutor Remy Heitz said Tuesday that "nothing indicates" the Notre-Dame blaze, which brought the iconic building's towering spire and roof crashing down, "was a voluntary act". 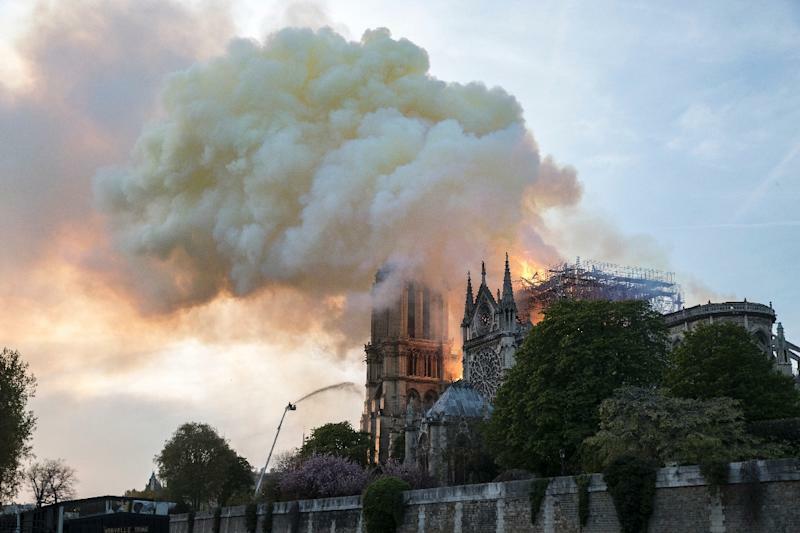 The cathedral had been undergoing intensive restoration work which firefighters said could be linked to the inferno, investigators said. It told AFP by email that while a partner organisation had found an increase in attacks on French churches this year, it had no indication that Notre-Dame had been targeted. We "will wait with the rest of the public for an official announcement after an investigation into the cause of the fire," it added.